The problem of cancer care in Nigeria is multi-layered. 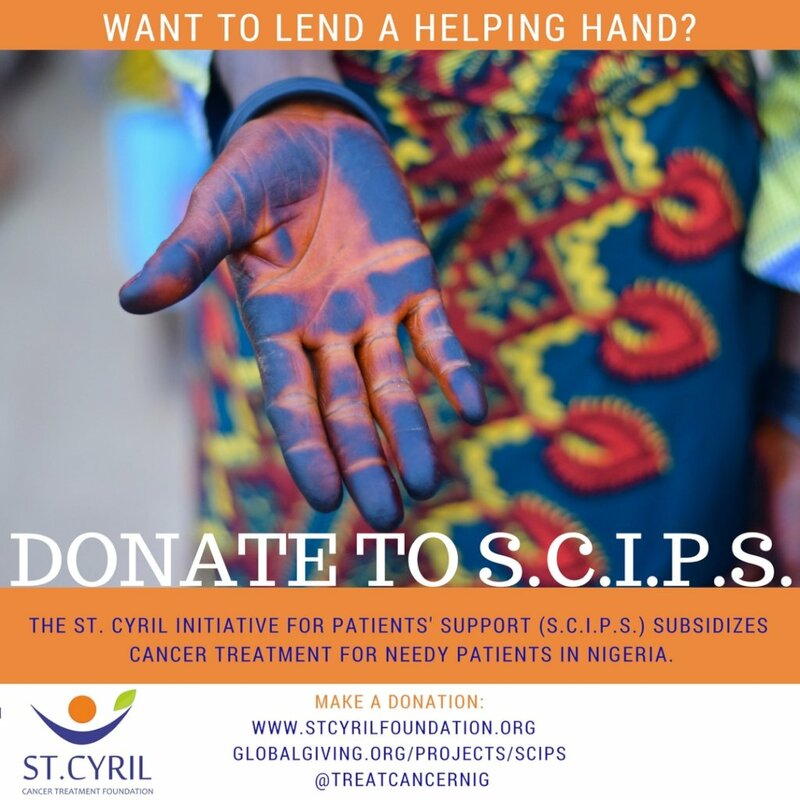 St. Cyril Cancer Treatment Foundation is focused on treatment aspect where the need is greatest. Patients often wait months or even years before they can start treatment. Some die waiting! A shortage of treatment centers and lack of optimal care at the core of inefficient treatment. Chemotherapy drugs are often given with no infusion pump to regulate the rate of these toxic drugs, risking severe and sometimes fatal side effects. Our chemotherapy clinic is equiped with digital infusium pumps to ensure the drugs are delivered safely and accurately. We also provide holistic cancer care with support services of counsellors, dietitians and pscho oncologists. S.C.I.P.S. will seek to close the huge gap existing in Nigeria between diagnosis and treatment of cancer, giving hundreds of patients a better chance. Secondly it will start a movement to make the use of infusion pumps for chemotherapy a standard of care in Nigeria. This project will give S.C.I.P.S. a chance to treat ten cancer patients. Ten families will have peace of mind that their loved ones are being healed. 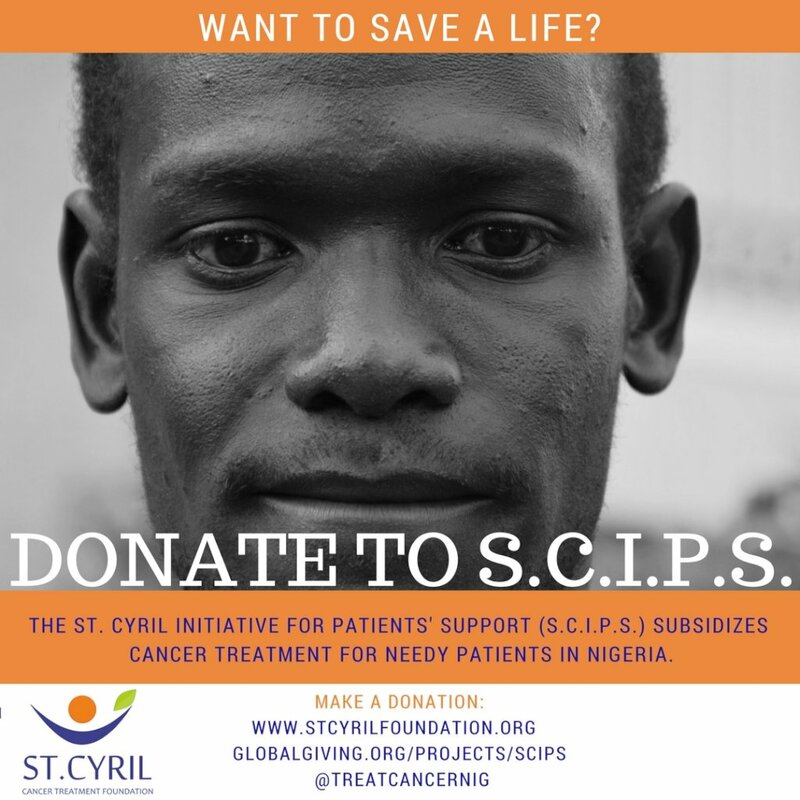 SCIPS is a long term project of St. Cyril Cancer Foundation that is intended to change cancer treatment in Nigeria for the better by making our services available to as many as possible. Also to reduce the time period between diagnosis and treatment significantly will improve the survival chances of cancer patients in Nigeria.